At Ledingham McAllister, we are wishing you a very happy Chinese New Year! We hope this time spent with your family and friends is filled with an abundance of good fortune and happiness. In celebration of the New Year, we have a few special gifts for you that we think you might like! 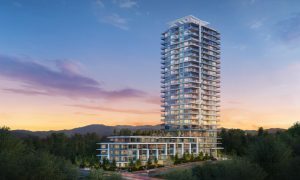 Located within walking distance of SkyTrain and all the shops and services of the up and coming new Lougheed Mall, Sydney is Ledingham McAllister’s latest luxury collection of tower residences. Sydney will offer 25-storeys of one and den to three bedroom homes all serviced by over 14,000 sq.ft. of state of the art hotel-style amenities. Life at Sydney will achieve new levels of sophisticated and high-style living. This highly anticipated community will soon be ready for previewing. Register today to stay tuned for details to be among the first to receive any and all updates! 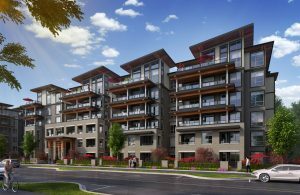 Inspired by the rugged and majestic British Columbia cedar, Ledingham McAllister’s Cedar Creek welcomes you home with contemporary West Coast design and convenient living in the residential heart of the revitalized Edmonds neighbourhood of South Burnaby. A fresh new community within easy walking distance of Sky Train, shopping, education, entertainment, recreation and every conceivable amenity for easy and active living. The New Year means it’s time for new décor! To help you get started, Ledingham McAllister is now offering a promotional decorating allowance. For a limited time only, there will be an opportunity to save up to $10,000* on select homes at Cedar Creek. Don’t miss out on your chance to be one of the first to live in this thriving community! Waterscapes is Ledingham McAllister’s award-winning, master-planned community offering elegant, resort-style living. 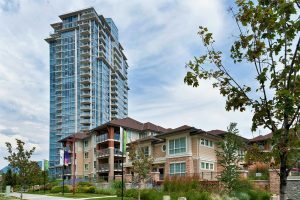 Enjoy the thriving downtown core connecting you to shops, artisanal cafes, or relax and retreat at Okanagan Lake. With the recently sold-out Skye and Herons residences, we are thrilled to announce that select homes at Osprey are now available for sale. That’s not all! For a limited time only, Ledingham McAllister is offering a promotional decorating allowance with the opportunity to save up to $8,000* on our two and three bedroom homes. Don’t miss out on this limited time promotion and the opportunity to live in this spectacular lakeside community.